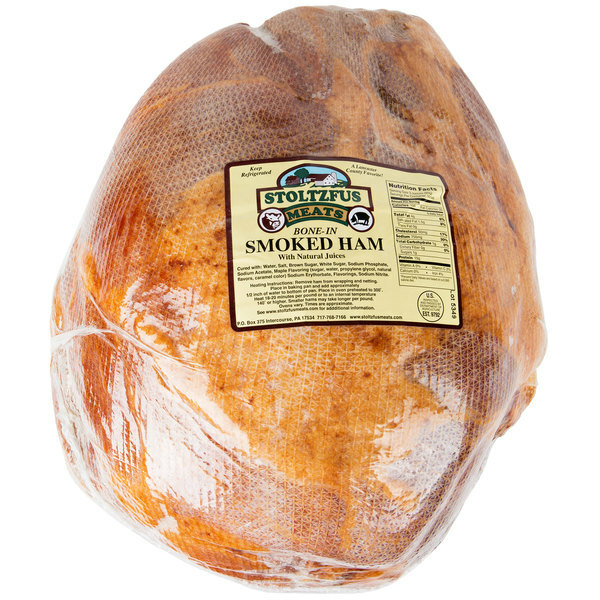 Bring satisfying, savory flavor to your menu with this Stoltzfus Meats 17 lb. shankless skinless smoked ham. 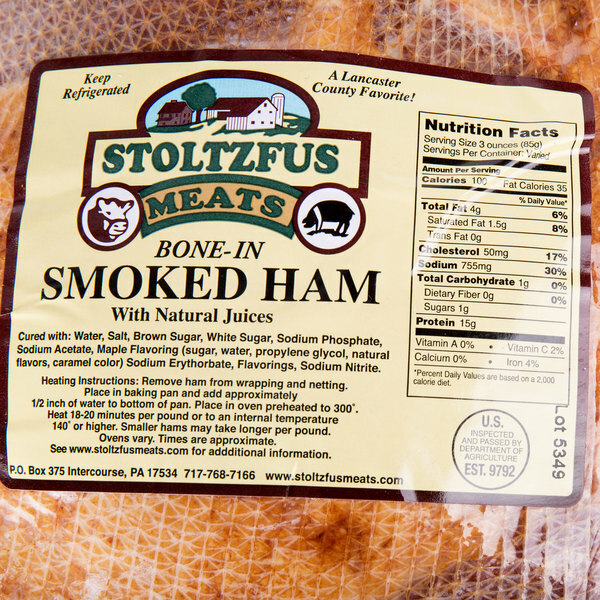 Tender, juicy, and full of flavor, this Stoltzfus Meats 17 lb. 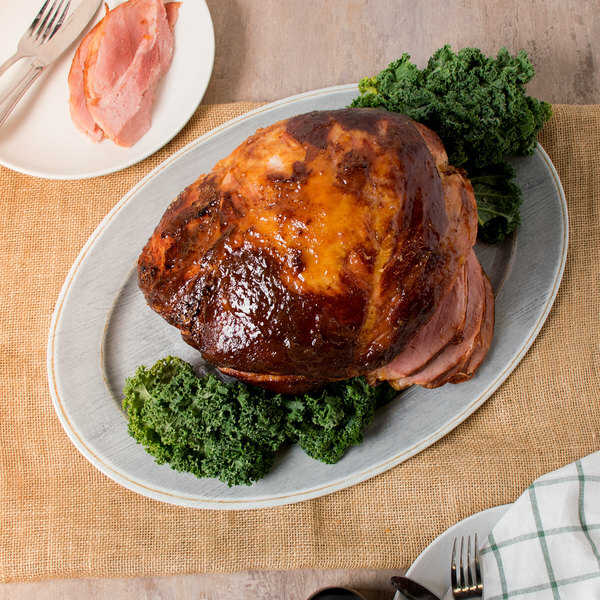 shankless skinless smoked ham makes it easy to offer flavorful slices of hearty ham at your restaurant, buffet, or catered events. 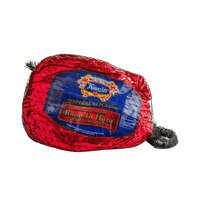 This rich, smoky ham is hardwood smoked to perfection for a strong flavor and bold aroma. 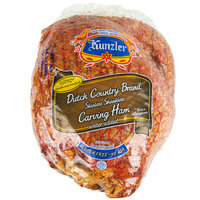 It's hand trimmed by expert meat cutters, and fully cooked for immediate use. 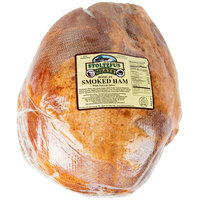 This smoked ham is fully cooked and ready to eat! Simply heat with your favorite rub and slice to serve as part of a satisfying ham dinner or serve it on gourmet sandwiches. It's perfect cubed and incorporated into traditional ham and bean soups, cheesy scalloped potato and ham casserole, and savory quiches. 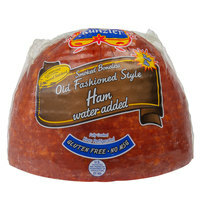 This ham contains no fillers or extenders, like soy protein or carrageenan, for an authentic flavor. It's a natural juice product, as opposed to a water-added product, so you can rest assured that it will feature the flavor your customers know and love. 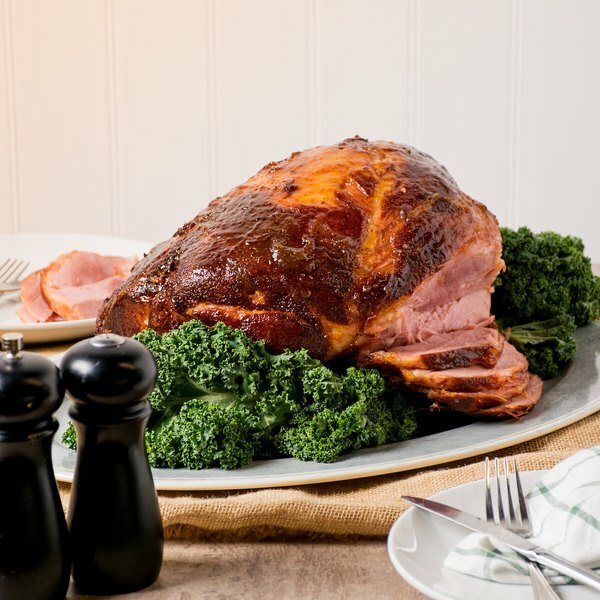 Shankless hams, like this one, provide the phenomenal flavor of a traditional bone-in ham, with the convenience and value of a boneless ham. By removing the shank, these hams are easier to cut and feature more lean meat than a bone-in ham. At the same time, since the leg and hip bones remain, they infiltrate your dishes with the iconic ham flavor that bone-in hams offer. When will my refrigerated, frozen, or live food product be shipped? Orders placed before 1 pm EST Monday through Wednesday will be processed that day and delivered two business days later. Orders placed after 1 pm EST Monday and Tuesday will be processed the following day and will be delivered two business days after that (three days after the order is placed). Orders placed Wednesday after 1 pm EST through Sunday will not be delivered until the following Wednesday.